Queensland’s defence industry is set to receive a boost, with Defence awarding a $70 million contract to a prime for the sustainment of the C-17A Globemaster. Boeing Defence Australia, based in Brisbane, has been awarded the contract to sustain the fleet of eight aircraft. 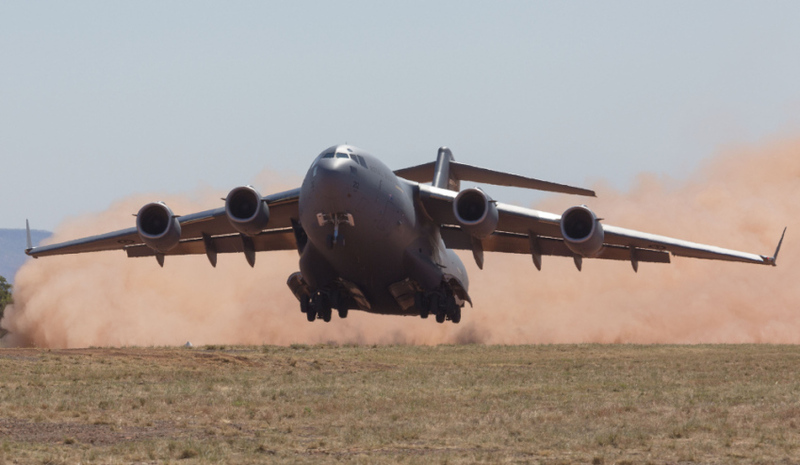 Minister for Defence Industry Christopher Pyne said the $70 million C-17A Australian Sustainment Services Contract was a key initiative for the ongoing support to the Royal Australian Air Force’s (RAAF) Heavy Air Lift capability. "The RAAF C-17A provides a nimble fleet of transport aircraft which have the ability to land on some of the harshest airfields in the world," Minister Pyne said. "The arrangements to maintain the C-17A aircraft have been in place since 2006 when the first C-17A was delivered to Australia, however, as the size of the fleet has since doubled – to eight – this new arrangement will create new jobs in Queensland. "The new arrangement replaces some elements of the existing sustainment arrangements with the US government, while keeping Australia in the global supply system for C-17." The contract, which Minister Pyne said will utilise Australia's capabilities, will commence in October this year and is expected to create 12 new jobs. "This contract rationalises Australian unique support services and ensures a cost effective, flexible and modern sustainment management arrangement both now and into the future," said Minister Pyne. "Boeing Defence Australia has a proven model for optimal in-service support, operating under a single-management framework that sees Boeing and Commonwealth employees working in close collaboration to manage all current and future fleet requirements," said Edwards. Director Heavy Air Lift Systems Program Office Adrian Morrison said, "This contract with BDA gives us the best of both worlds, the continuing strength and support from the United States Air Force through the Globemaster Integrated Sustainment Program, and the flexibility, through this contract, to respond and grow with changing local Australian needs over time." The Australian C-17 Sustainment Services Contract is for an initial five-year term with options out to the retirement of the aircraft. It includes management of services, provision of integration, engineering and maintenance. Based at RAAF Base Amberley, the eight C-17As provided the backbone of the air link for Operation SLIPPER in Afghanistan. Capable of landing on dirt strips as short as 3,500 feet, the Boeing-built aircraft carried supplies and personnel between Australia and the Middle East. In addition to supporting personnel on deployments, Air Force C-17As have been an integral part of disaster relief and humanitarian missions. Recent activities have included Operation QUEENSLAND FLOOD ASSIST, Operation CHRISTCHURCH ASSIST, Operation PHILIPPINES ASSIST, Operation SOUTHERN INDIAN OCEAN, Operation BRING THEM HOME and Operation OKRA.